Could put off his "anchors aweigh" day. On the groundbreaking things he was doin'. As Yahoo! 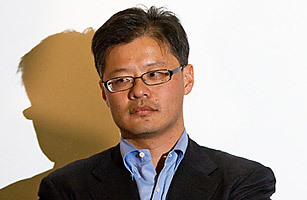 co-founder Jerry Yang announced his resignation, reaction varied from regretful musing to grim satisfaction. The latter was reflected in the $YHOO share price, which rose 3% in after hours trading to $15.90. 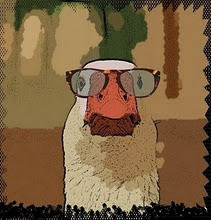 Internet industry oldtimers (if there is such a thing) were more philosophical; the Wall Street Journal quoted Citibank analyst Mark Mahaney, who said: "The near-term Wall Street reaction is that he wasn't doing a good job, but the longer-term perspective is that he will go down as one of the top 10 Internet entrepreneurs." Mr. Yang co-founded Yahoo! with fellow Stanford University graduate student David Filo in 1996, and the company rode the dot-com bubble to a market valuation of $120 billion in 1999. Along the way it eclipsed or bought out such early rivals as Alta Vista, Inktomi and Excite. In the wake of the dot-com bust and the ascendancy of Google search, $YHOO has languished, and Mr. Yang incurred the wrath of investors when he spurned a $47 billion takeover by Microsoft in 2008.